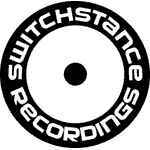 Electronic / hip hop / reggae label based in Germany, founded in 2001 by Tom Strauch. In 2011 it was moved from Moers to Cologne. The focus is on a fusion of electronic and analog sounds with influences from 90s hip hop, reggae, funk, afro, latin and breakbeat.